Amino BioFrequency Therapy consists of thin circular patches applied directly to the skin. They send electrical frequencies through the electro molecules in the body. The nervous system picks up these frequencies, starting a self-healing and self-regulating process. By improving the signalling directly at the cellular level, without the use of chemicals or machines, the results are not only fast, they are without side effects and results are felt within 5 to 20 minutes. The therapy is a combination of clinical examination, treatment with ANF Discs, manual therapy, nutritional and exercise advice. If you are receptive your body will respond within 5 to 20 minutes from applying the treatment. The body is examined the body following the nerve paths and focus on finding the root cause of the patient’s problem. 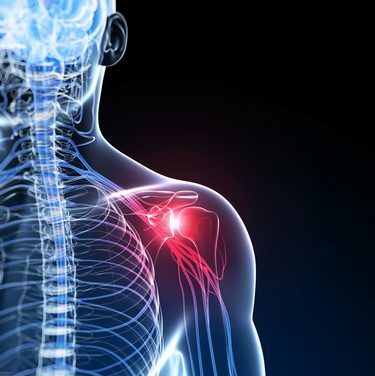 According to the findings and related diagnosis, we apply our unique medical device, the ANF discs, in order to reduce pain, remove inflammation and prevent it from spreading via the nervous & lymphatic systems. The Amino patches are designed to be apply directly on the skin, where the frequency stays in the body for up to 72 hours, Therefore the effect is much powerful as impact on the cells is constant. The therapist or the client can every 3 days change the patches to new one and keep a constant impact for as long as it is needed without interruptions in the treatment. There are currently about 75 different discs, each with its unique specification and function. By combining the different discs, we can normalize and optimize the body functions (nerves, muscles, organs, lymphatic system and hormonal production). The discs exclusively release the electrical frequencies, stored in the carbonated metal they are made of. These frequencies are already used by the body itself to function; the discs only amplify them. By doing so, the body’s functions start to work normally again or are strengthened/normalized. Discs do not contain or release any substance which can harm the body. The duration of treatment is individual – it can take anywhere from 1 to 4 months, depending on the nature of the problem. This will be discussed with you. First consultation is £45 for 60 minutes. In addition each disc used costs £3.00 and will last 3 days. If you have only an isolated pain/acute inflammation, you will not use many discs per treatment. The greater the inflammations, the higher the number of discs needed which will reduce over time.